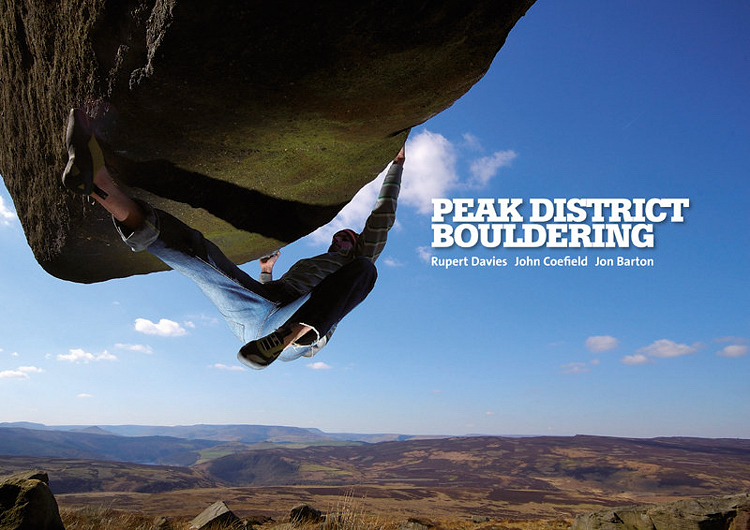 Peak District Bouldering is the 2nd edition from V-Publishing and what an edition it is! Take the 1st edition then pump it up with steroids and hey presto, you have the 2nd edition! It’s bigger - 468 pages instead of 350 - and much more comprehensive with loads more crags and loads more quality easy problems. The seven years which have passed since the earlier volume has seen a number of keynote changes. Highballing is in and the microscope has been focused and re-focused on each and every chunk of rock in and around the areas. Stand-alone boulders have been dragged from previous obscurity – often into the limelight - and new multi-problem venues – often on the limestone - have been developed. On-crag bouldering too seems to have been upped as well. Concern with respect to some venues though remains and hence some crags have been omitted for access reasons and/or for rock fragility concerns. An east, west and limestone split has been adopted for this edition with all crags being covered by photo topos. Generally, problems are described within the text the only exception being the somewhat myopic world of limestone minutia, eg. Stoney and Raven Tor, where once again cellar-style numbering of holds/problems is used to good advantage. Maps and crag topo’s are clear and easy to digest. Finally, a rich collection of images pervade the publication adding detail, inspiration and some extremely useful beta to boot. This is a mature edition and one which can only be considered as a ‘must have’ guide to the Peak. The two featured spreads from the guide- see above - show the Curbar intro and then The Cube which is over in the Roaches area.